woof is a Party, located in Luxemburg, Luxemburg, Luxembourg. 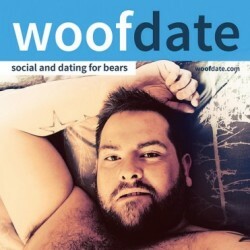 Woof Luxembourg is the only men-only party in Luxembourg, happening every two month with international DJs and performers dedicated to bears & fetish. We are very proud to welcome for that 14th party some sounds and moods from a party we really like at Woof Luxembourg: the Italian party from Milan: Gorillas! For the Luxembourg BEAR PRIDE 2018, we'll invite Neixom back in Luxembourg to play with our resident José Sanchez and not 2 but 3 performers incl. a very special guest Paul Brown! Avant la Woof Paris #2, pourquoi ne pas se retrouver au Bears'den Paris pour boire un verre, faire connaissance, échanger avec l'équipe et les performers ? Hello Everyone. Sun is back in Luxembourg Let's celebrate this (before the rain again). For our 10th party, we wanted to try something new: Bikers are under the spotlight!